If you’re renting a house or an apartment, you’re probably already aware of the various perks that come with that living arrangement, including not worrying about paying for maintenance or lawn care. But what happens if you slip and fall in your rented residence, and who is responsible for covering costs associated with your injuries? Is my landlord responsible for my slip and fall? It depends. As with just about any other personal injury case to be successfully litigated, negligence must be proven. 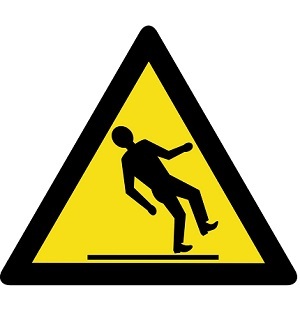 In the case of injuries suffered from a fall on rented property, evidence must point to the property owner’s negligence leading directly to the incident. Going further, the condition of the property alone is not enough to trigger liability responsibilities of the property owner. Rather, it must be proven that the landlord either knew or should have known about the unsafe conditions. How can I make my landlord aware of unsafe conditions? Your lease arrangement should contain language that spells out the responsibilities of the property owner in terms of addressing maintenance and correcting unsafe conditions. For example, most lease arrangements will allow landlords the ability to enter a unit for inspection as long as reasonable notice has been provided to you, the tenant. Also, the landlord’s liability is initiated once he or she has been notified of a potential problem by the tenant. How can I prove my landlord’s liability? in addition to keeping copies of paperwork from your doctor’s office visits, scan them so that you can keep digital copies that cannot be lost. If you’re injured because of your landlord’s negligence, call Barber and Associates. Even if you do not feel the after-effects immediately afterward, a slip and fall accident can easily lead to serious injuries. Medical bills and lost wages can put you in a bind in a hurry, so if you feel that your landlord is at fault for your injuries, get in touch with us here at Barber and Associates.